Operations | Citation Oil & Gas Corp.
Citation operates in 13 states and manages its field operations on a decentralized basis through four regional operating areas designed to leverage both scale and geographic focus. Operational control of our assets is a key component of our strategy to maintain and grow production volumes and control lifting costs. 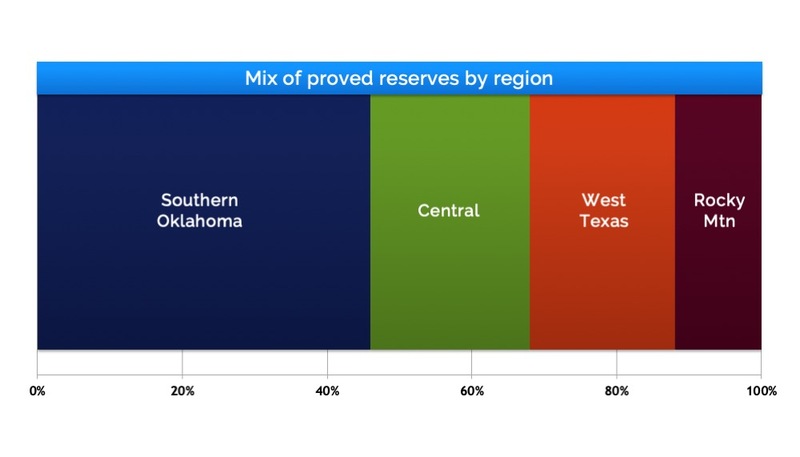 We currently operate properties that represent over 91% of the value of our total proved reserves. Citation has 480 employees and is headquartered in Houston, Texas. We also have regional offices located in Midland, Texas, Gillette, Wyoming and Oklahoma City, Oklahoma. Citation is the second largest operator in the Illinois Basin, one of the top ten largest crude oil producers in Oklahoma and among the top twenty crude oil producers in Wyoming. Citation focuses its activities in selected traditional producing basins in the Mid-Continent, Permian Basin, Illinois Basin and Rocky Mountain regions with many fields having production history of 50 years or more.